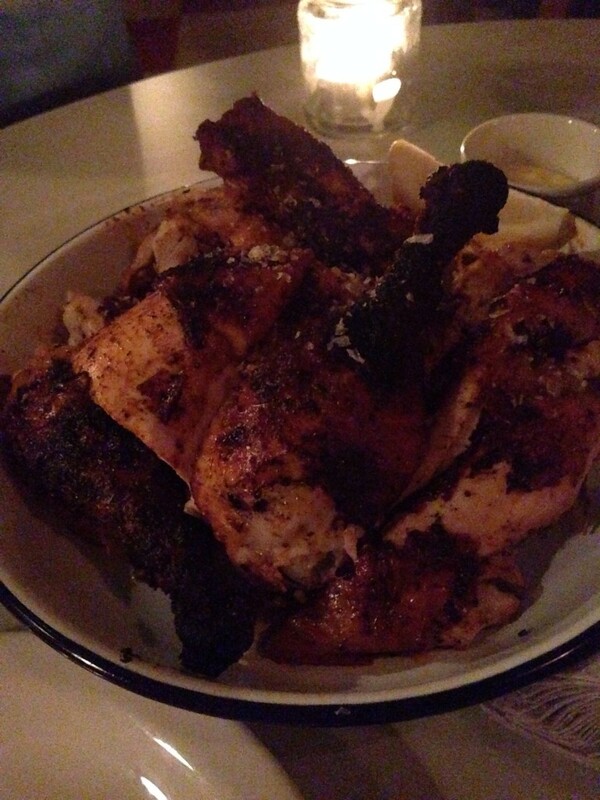 Chicken Shop is part of the famous Soho House group that own popular restaurants, bars and cinemas in London. 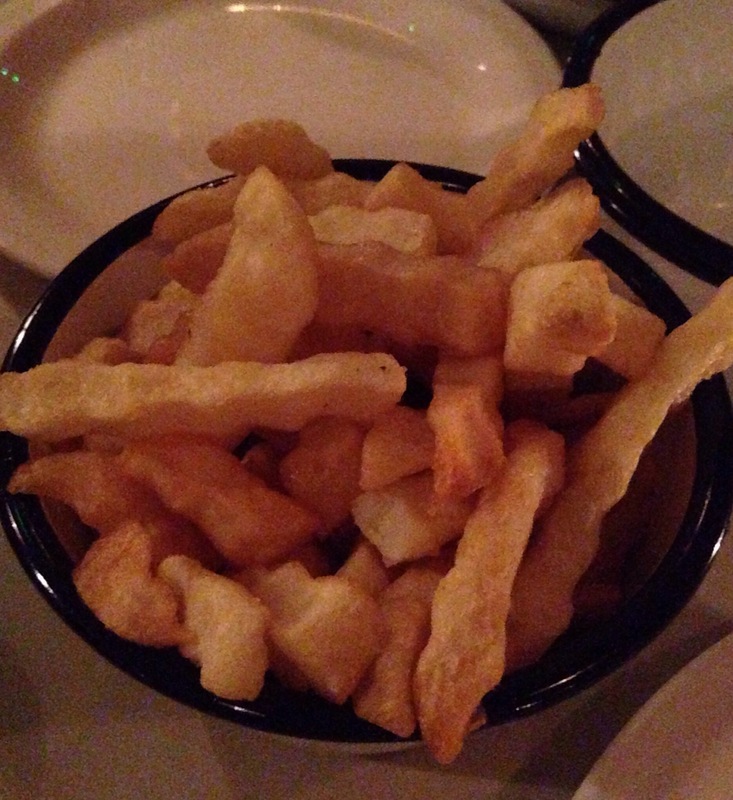 Tooting is the second site for Chicken Shop – the first one being Kentish Town in north London. The restaurant is tiny and from the outside, it looks more like a rotisserie bar with a lack of proper seating. Chicken Shop don’t take reservations so we went for an early dinner (restless child in tow) mentally prepared for a difficult wait. To my pleasant surprise, we were seated straight away thanks to a hidden, family friendly, dining area at the back. Phew. The menu is simple and focused entirely on, you guessed it, chicken. You choose the size of chicken (whole/half/quarter), your sauce (hot/smokey), and your side (chips/salad/coleslaw/corn.) Vegetarians will definitely go hungry! It’s all about the chicken and calling it tender is an understatement. The free-range rotisserie chicken, marinated overnight, is melt-in-your-mouth-fabulous. The sauces add a spicy kick to the flavour but the chicken is just as enjoyable on its own with a side of perfectly crinkled chips. Highly recommend Chicken Shop if you find yourself in Tooting and in the mood for delicious rotisserie chicken. Go early and expect to queue – Chicken Shop is extremely popular. 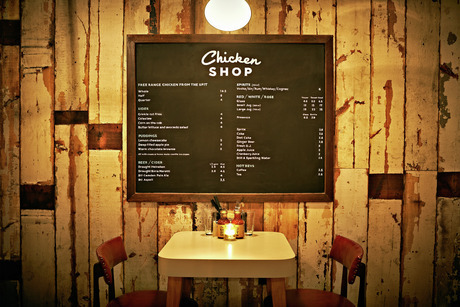 Visit www.chickenshop.comfor menu and more info!